SEOUL, South Korea -- North Korea's first vice foreign minister said Wednesday that the country has no interest in a summit with the United States if it's going to be a "one-sided" affair where it's pressured to give up its nuclear program. The Wednesday statement by Kim Kye Gwan came hours after North Korea abruptly canceled a high-level meeting with South Korea, and in it he threatened to do the same with the planned summit between leader Kim Jong Un and President Trump next month. Kim Kye Gwan appeared to take the most issue with recent comments by Mr. Trump's top security adviser John Bolton and other U.S. officials who have spoken about how the North should follow the "Libyan model" of nuclear disarmament and provide a "complete, verifiable and irreversible dismantlement." He said North Korea had "already stated our intention for denuclearization of the Korean Peninsula," but that it was not interested in following the model implemented in Libya, whereby the rogue state gave up all elements of its weapons program and allowed inspectors in before receiving any compensation in the form of aid or sanctions relief. Kim appeared to suggest that it was Bolton, "talking about (a) formula of 'abandoning weapons first, compensating afterwards,'" which had prompted the threat to pull out of the planned summit. He said the "world knows too well that our country is neither Libya nor Iraq" -- neither of which had viable nuclear weapons when deals for disarmament were reached. Why did North Korea wait until now to threaten canceling Trump-Kim summit? "It is absolutely absurd to dare compare the DPRK (North Korea), a nuclear weapon state, to Libya which had been at the initial stage of nuclear development," Kim said in the statement published by North Korea news agency KCNA. He added that the North Korean regime could, "not hide our feeling of repugnance toward" Bolton. Bolton said on "Face the Nation" late last month that the White House was, "looking at the Libya model of 2003, 2004" as well as the 1992 joint North-South denuclearization agreement. Bolton mentioned Libya by name a few times, says CBS News reporter Kylie Atwood, and he pointed out that the country had allowed American and British observers into all of its nuclear related sites. He noted differences between Libya and North Korea and said the "strategic decision to give up nuclear weapons doesn't have to be the same as Libya," but indicated that the outcome of denuclearization should be the same and observers must be let in. Atwood notes that State Department officials have been careful not to refer publicly to the Libya model when discussing talks with North Korea, as it is a known irritant for the Kim regime. "If the Trump administration takes an approach the DPRK-U.S. summit with sincerity for improved DPRK-U.S. relations, it will receive a deserved response from us," Kim Kye Gwan said in the statement. "However, if the U.S. is trying to drive us into a corner to force our unilateral nuclear abandonment, we will no longer be interested in such dialogue and cannot but reconsider our proceeding to the DPRK-U.S. summit." Kim Jong Un took power weeks after former Libyan leader Muammar Qaddafi's gruesome death at the hands of Western-backed rebel forces amid a popular uprising in October 2011. The North has frequently used Qaddafi's killing to justify its own nuclear development in the face of perceived U.S. threats. The North's earlier cancellation of the planned summit between Kim and South Korean President Moon Jae-in, which came in a pre-dawn dispatch by North Korea's state media, had already cooled what had been an unusual flurry of outreach from a country that just last year conducted a provocative series of weapons tests that had many fearing the region was on the edge of war. What North Korea's threat means for upcoming summit with U.S. It was still unclear early Wednesday morning whether the North intended to scuttle all diplomacy, or was merely trying to gain leverage -- and express discontent -- ahead of the still-planned June 12 talks between Kim and Mr. Trump. The statement on the North-South summit was released hours before representatives of the two Koreas were to meet at a border village to discuss setting up talks aimed at reducing military tension along the world's most heavily armed border and restarting reunions between families separated by the Korean War. South Korea said the North's move to cancel the meeting at the last-minute over regularly scheduled allied military drills was "regrettable" and demanded the North's quick return to talks. Seoul's Unification Ministry spokesman Baek Tae-hyun said Wednesday that the North's decision went against the spirit of last month's inter-Korean summit, where the Koreas' leaders issued a vague vow on the "complete denuclearization" of the Korean Peninsula and pledged to seek a permanent peace between the rivals. North Korea's KCNA news agency reported that Wednesday's meeting was canceled and that Pyongyang was also questioning -- even before Kim Kye Gwan's remarks were published -- whether the summit between Kim and Mr. Trump could take place as planned. "We are aware of the South Korean media report," White House press secretary Sarah Huckabee Sanders said in response not long after the news broke. "The United States will look at what North Korea has said independently, and continue to coordinate closely with our allies." 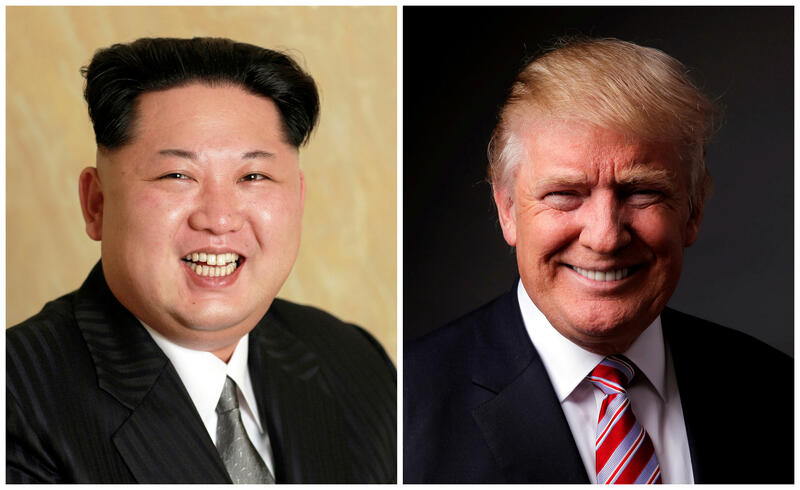 State Department spokeswoman Heather Nauert said Tuesday that the U.S. would "continue to plan the meeting between President Trump and Kim Jong Un." The Pentagon reiterated that the military exercise with South Korea was a routine, annual event that is purely defensive in nature. Army Col. Rob Manning said "Exercise Max Thunder 2018" was designed to improve the abilities of the U.S. and South Korea to operate together. It began Monday and was slated to run through May 25, and expected to include aircraft from the U.S. Air Force, Army, Navy and Marine Corps, as it has in the past. In March, then-CIA Director and current Secretary of State Mike Pompeo told "Face the Nation" that Kim had allowed the U.S. to, "continue our exercises on the peninsula -- something that's been fought over for decades." In March, South Korean National Security Adviser Chung Eui-Yong said Kim, "understands that the routine joint military exercises between the Republic of Korea and the United States must continue" after meeting with Mr. Trump at the White House. Before Wednesday, North Korea had taken a number of steps appearing to try and ease tensions ahead of the U.S. summit, including freeing three imprisoned Americans and moving ahead with plans to close its main nuclear test site -- moves President Trump was quick to laud and thank them for on Twitter. The nuclear test site's closure was set to come before the Kim-Trump summit, which had been shaping up as a crucial moment in the decades-long push to resolve the nuclear standoff with the North, which is closing in on the ability to viably target the mainland United States with its long-range nuclear-armed missiles. CBS News correspondent Ben Tracy says the Kim regime did appear this week to still be following through on its promise to destroy the Punggye-ri nuclear testing site; new satellite images have shown several buildings at the site torn down. Despite the North's moves, many experts remained skeptical about whether Kim would actually be willing to give up a nuclear program that he had pushed so hard to build. Kim has expressed his intention to negotiate over his weapons, but he still uses a long-contentious term, "the denuclearization of the Korean Peninsula." The North previously has used this phrase when demanding that the United States pull its 28,500 troops out of South Korea and withdraw its so-called "nuclear umbrella" security guarantee to South Korea and Japan as a condition for its nuclear disarmament. Wednesday's threats could also be aimed at a domestic audience, showing Kim is willing to stand up to Washington. Kim has repeatedly told his people that his nuclear weapons are a "powerful treasured sword" that can smash U.S. hostility. In 2013, North Korea abruptly cancelled reunions for families separated by the 1950-53 Korean War just days before they were held to protest what it called rising animosities ahead of joint drills between Seoul and Washington. A year earlier in 2012, the North conducted a prohibited long-range rocket launch weeks after it agreed to suspend weapons tests in return for food aid.